Today is a very special feature! I have the honor of interviewing a writer I admire very much and have enjoyed getting to know over the past two years. Michael Di Gesu is an incredibly talented writer, one who will hit it big time in the very near future. His theme for the Challenge was flash fiction mysteries, and since today is also the post day for the Insecure Writer’s Support Group, I thought it would tie in very well. So please welcome once of the most amazing people you will ever meeting in the blogging world, Michael! Your theme was a series of flash fiction/riddle pieces – what made you chose that theme? I just love to write Flash Fiction. To be able to tell a whole story in 3-500 words is quite the challenge, THEN, to add a riddle on top of it .... we are talking MAJOR challenge. 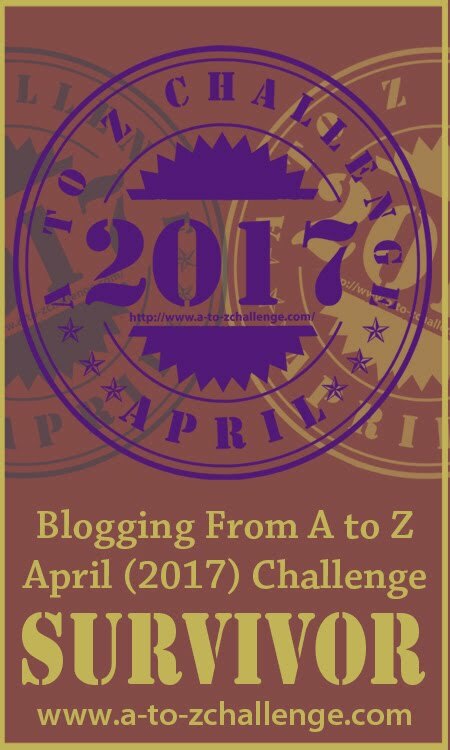 And isn’t that one of the focus points of the A-Z challenge? 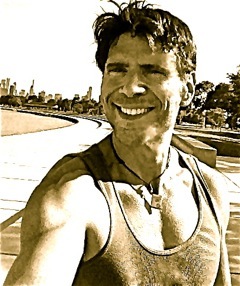 To stretch or writing skills and to do it daily? And let me say that I had to be a rubber band for this feat. Did any of them completely stump your followers? Yes, several did. Many of my posts needed research, so that enabled me to really come up with some difficult ones. Did you write these in advance or fly by the seat of your pants? Man, did I fly by the seat! I had actually began the research the afternoon before I had to post. Some took almost 8-10 hours to put together. By midnight I usually had them ready for the 6:00am scheduled time. Did you select a word and then write the prose, like it was a word prompt? Yes, I tailored each post to the specific word I wished to focus on. Many of the posts had a fantasy element, so I would think of a wonderful mystical/magical character to focus on. One of my favorites was my “P” post for PAN. Now Alex, that’s a tough one. But, if I have to choose, I would say my “S” post. The Salamander. I loved writing this particular piece because I wrote it in the Salamander’s POV. And what an attitude this little guy has. Geez. Too funny. Harry Potter figured into your writing as well. You’re a big fan, aren’t you? A HUGE fan. I must have read the series at least ten times. J. K. Rowling’s Harry Potter came into my life the year my father died from pancreatic cancer. I had spent three LONG months taking care of him and literally watching him disappear. It was a very stressful time, and by December of 2001 the first film, Harry Potter and the Sorcerer’’s Stone, had just hit the theaters. It was the day after my father’s service my brother and I went to see it. For the first time in months I had escaped the sadness and forgot for over two glorious hours of magic. The film was the ultimate escape and started me on my passion for the books. I still go back to read them on occasion when I need an escape. The world J.K. Rowling created is very special to me. Harry, Ron, and Hermione, in my opinion, have the best chemistry of all the literary characters I have read. J. K. Rowling also influenced me greatly as a writer. From her I learned how to create lush, vivid, and descriptive scenes. And I tried and hopefully succeeded in creating wonderful chemistry between my three mc’s in my first m/g fantasy novel. 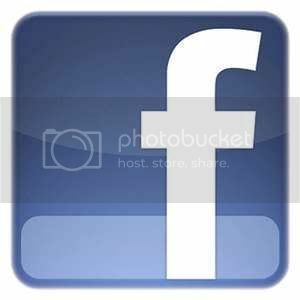 Your birthday was in April – what did you do that day? Did you write? The “Y” post was on my birthday. First, I wrote my post ... early. I am usually in Florida for this month, and I reserve my time share in Orlando my birthday week. This year I had spent it at Epcot. I am a HUGE Disney fan as well, not surprising since I love fantasy and magic so much. 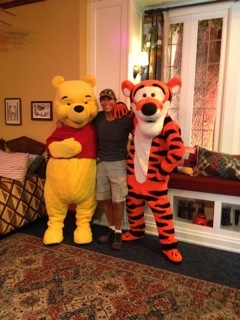 I had decided to do something I had never done before and that was to have my picture taken with every Disney character that happen to be there that day. Not easy to do believe me. The lines and all the kids.... Of course, I was the BIGGEST kid and did get a few strange looks, but I didn’t care, it was my birthday after all. 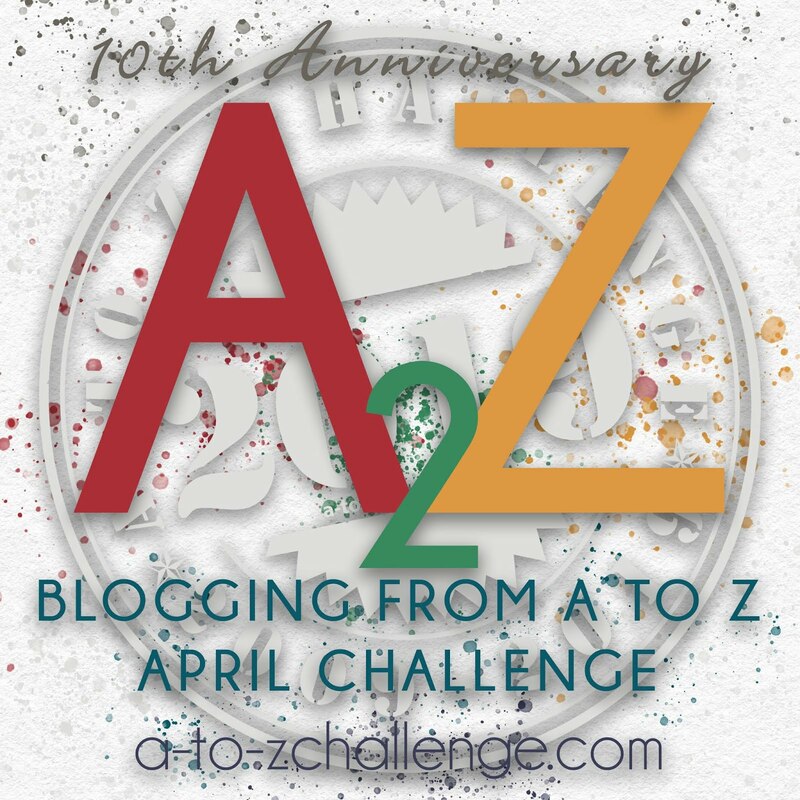 Do you have a theme in mind for next year’s A to Z Challenge? Well, I hadn’t really thought about it yet, we do have some time before April. But, for the last two challenges I did the Flash Fiction/riddle theme and everyone seem to really enjoy it. So, I might just have to stick with it again, unless, something else more incredible comes to mind. Anything is possible with me, especially when it comes to my writing. Thank you Alex for featuring me today. I am honored to be here and I’m definitely looking forward to the next A-Z. If last year is any indication, you might just peak at three thousand bloggers this year. 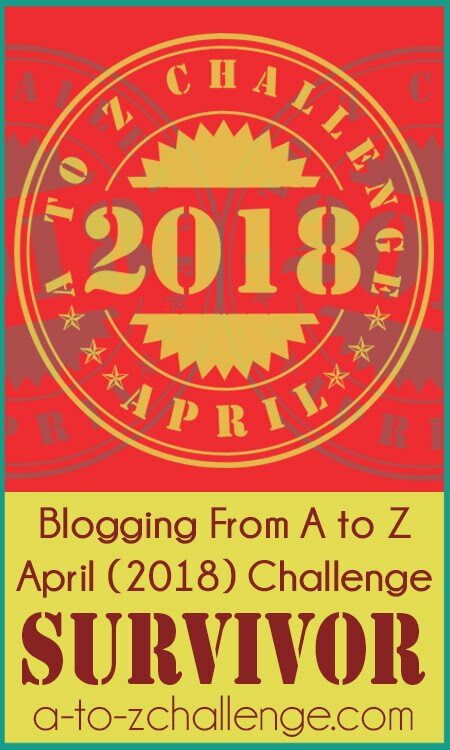 Anything is possible in the A-Z Challenge. Great interview Michael. I'm contemplating flash fiction for next year's challenge, but don't know if I can do it. Thanks for doing the interview, Michael! Great interview. Nice to know i wasn't the only one writing my AZ posts the night before. It'll be different next year... (which is what I said last year). Always love to see what's inside a writer's head. And wow, I'm in awe of your research. Great interview! It's good to learn more about Michael. Thanks to both of you! Like Anna said: WOW. 10 hours is dedication. And it showed in the quality of your riddles. Like Siv, I am not great at riddles ... which is funny since I've put one in my latest WIP. But Victor is much smarter than I am! I cared for my mother as Cancer consumed her. I know in some small way how devastating seeing that first-hand is as you tend to a parent you love. I am glad that JK Rowling could help a bit with your emotions at such a time. Would it not be great if our novels could help in such a way with someone in mental anguish? 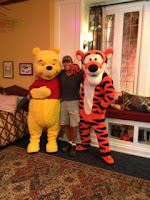 LOVE that picture of you, Tigger & Poah - I'm kicking myself for not stopping to see Minnie when she was waving so sweetly. Michael, like others have said you showed some real dedication in the Challenge and I think probably in all areas of your life. You have been a tremendous asset as a Challenge participant inspiring and entertaining others. Thank you for all of your efforts. 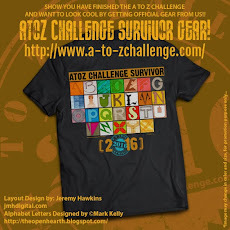 Holy... Michael is definitely worthy to highlight here... amazing challenge for the A to Z... I need to go check out that Salamander piece! And so sad with your father, Michael... but I too was captured with that first Harry Potter movie---it's what threw me into reading the books--and actually started my love for reading. I wasn't a reader until then... *gasp* I know. And now look where I am! Obsessed. It was, but I really wanted to write quality prose and challenge myself at the same time. And YES you can do it. Remember FF can be as short as 100 words and still be amazing! If you really have passion for it, the words will right themselves. I took it to an extreme because of the riddle factor, so research was a must! It was totally my pleasure. Thank You. Sometimes our best writing comes to us when we have that DEADLINE. If you're like me, you will be up the night before until wee hours of the morning. LOL. Thanks. Research is important for an honest piece. Thanks. I love to learn about my blogger pals too. I am ALWAYS proud of you .... AND IT"S ABOUT TIME! Thank you for your friendship and good heart and soul. Thanks... I had such a blast with my new friends! IF it weren't for your brainchild none of us would have the opportunity to write and be challenged. Not to mention meeting other amazing people. You so crack me up! I'll send you the Salamander piece so you don't go crazy looking it up. Another thing we have in common, JK got me back to reading as well! Great interview, Alex, and nice to meet you, Michael. I didn't catch this series during the A-Z, so I'll have to go check it out, soon. Sounds like you've got talent galore, and I love that you're a kid at heart. Of course, any friend of Alex's is a friend of mine ;-). The Ninja rocks. Great interview. I will have to tune in during A-Z next year! I live near Orlando and will be going to Disney tomorrow. So excited!!! I am in awe of your posts for A to Z. I have not had a chance to read your posts so I will have to make sure and do that. I definitely have books that I read for comfort. I love Amanda Quick's Lake & March trilogy as well as C.S. Lewis' Chronicles of Narnia. Wow, that was a lot of time spent on your posts. Sounds like you had a lot of fun with it. Nice to meet you as well. I'll drop by to say HELLO soon! I am SOOOO jealous that you get to go to Disney tomorrow... I wish I could meet your there. I didn't know you lived in Orlando. WE must get together for a coffee or lunch the next time I'm in town. Yes, I did have a lot of fun and it was well worth it. Not to mention I really have some beautiful flash fiction excerpts that I might illustrate and put into a book someday. I can't imagine writing all of those for the A to Z. Impressive, Michael. First of all, what an informative interview. And thanks for clearing up what "Flash Fiction" is. I'm not suggesting I thought 'flash' may have been a somewhat daring connotation. Oh no, not me. And I know what you mean about 'fly by the seat of your pants'. I mean, really, much cheaper than flying on an airline. Unless that airline happens to be 'Blog Air'. 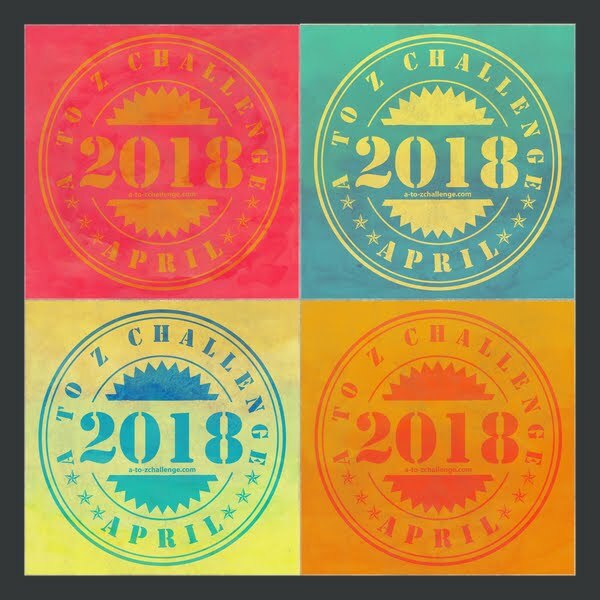 Seriously, yes seriously, I'm delighted that you Michael and so many others have found much fulfilment and positive interaction within the A to Z Challenge. Hi Michael, I love Harry Potter. I started reading the series last fall and am reading it a second time through. I'm on Deathly Hallows. Good luck to you and your writing! Nice interview, Alex and Michael. I saw the link on Stephen Tremp's blog. I am SO totally a big kid at heart. I LOVE Disney and I truly would love to live there. LOL. Thanks. It was a lot of work, but well worth the effort. Thanks for dropping by. Yes, It is an amazing, exhausting, and stimulating challenge. Perhaps you will jump right in next year. Thanks. I am so glad you are enjoying the HP series so much. I think when things slow down a bit for me I will read them again ... it's been a few years. And my hats off to you for writing (and loving) flash fiction. That is some tough writing. Call for More Guest Posters!